Hey guys! Wicked busy summer, and hopefully a busy fall as well. Waiting for a phone call for a second job so I can afford to eat, and applying to a local school to start my Bachelor’s in the spring. Let me know in the comments what you’ve guys have been up to! I’m looking forward to backyard campfires and my brother’s senior year of football. It’s been a family practice of ours for 8 years now. It’s really sad… At his homecoming game we’ll be walked across the field with him and my mother and I will be given roses. I’ll be crying a lot this year. So, that’s what’s been going on with my life. Working, saying goodbye to summer, hello to to the final year of high school football and the school district in general. 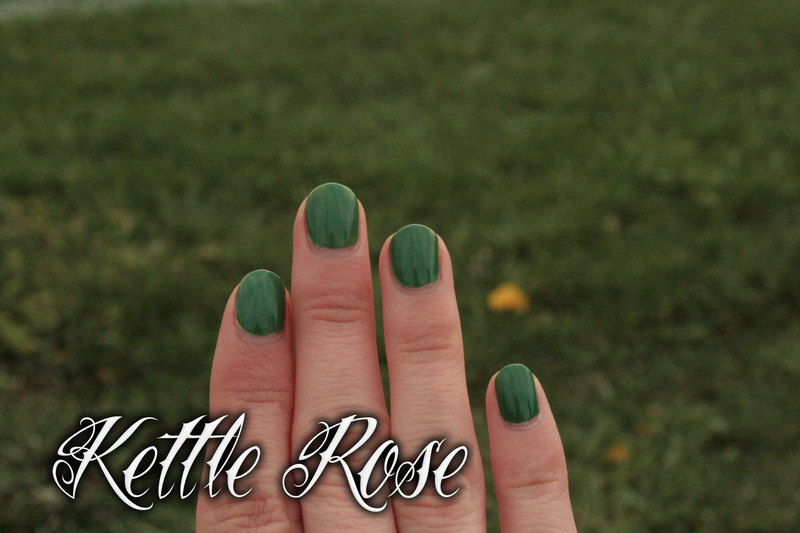 So to celebrate this goodbye to summer, I wanted to wear a beautiful grass green. 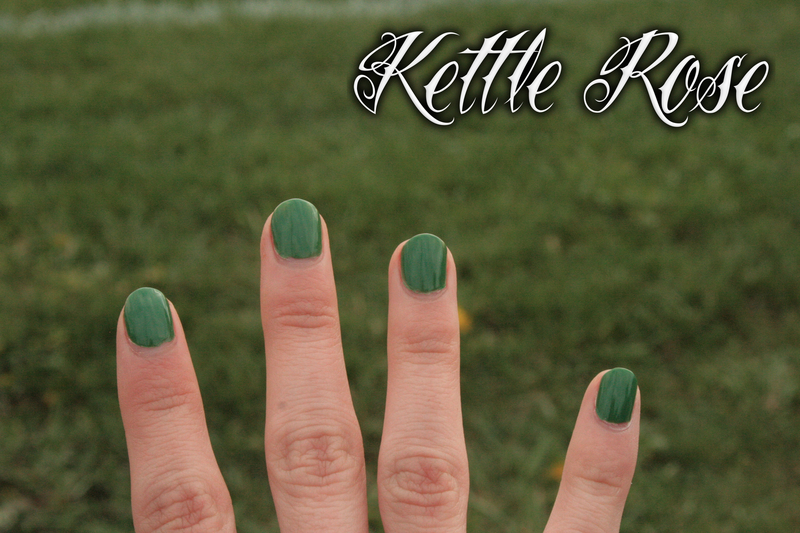 I chose China Glaze Starboard, which is a perfect deep grass green that has a muted, faded, natural look to it. Starboard is from the Anchors Away collection of a few seasons ago. Starboard is so absolutely gorgeous, it’s painful. It applies like a dream, stays on forever without chipping, and glossy like there’s no tomorrow. Absolutely amazing. 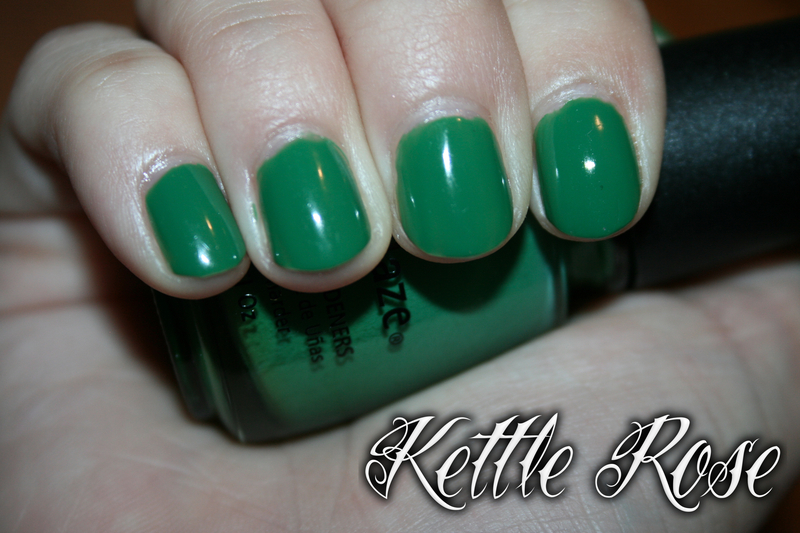 This is polish that every girl need in her collection. I don’t have another color that’s identical. You’ve got to get the real deal. I’ve got a bunch of small posts like this, but I’m still going to post what I have from the On Safari collection and the two polishes I have of the New Bohemian collection. Sorry for being so absent, guys! Have a wonderful day!